Monday 23rd January saw the base metals start the week in a strong manner; the three-month prices were up at an average of 1.2% on the London Metal Exchange. The charge is led by a 2.1% rebound in nickel prices to $9,895 per tonne, lead and zinc prices are up 1.2% and 1.7%, respectively, copper prices are up 1% at $5,817 per tonne, while aluminium and tin prices are up around 0.5%. Nickel has also seen the most volume with 3,463 lots traded, compared to 2,190 lots traded in copper – total volume as of 06:48 GMT was 10,560 lots. The rebound in the base metals comes after a varied performance on Friday that saw aluminium prices climb 1.5%, lead prices climb 1.2%, while tin and nickel prices dropped 2.4% and 2.2%, respectively, zinc was little changed and copper prices ended the week at $5,757.50 per tonne. 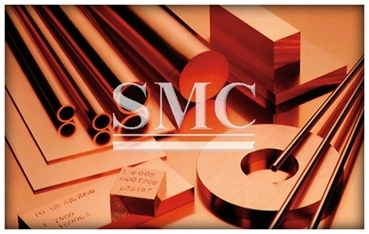 In Shanghai, the base metals on the Shanghai Futures Exchange are up an average of 1.4% this morning, and are led by a 3.2% rise in lead prices, with zinc and aluminium prices up either side of 2.3%, copper prices are up 1.3% at 47,040 yuan per tonne, while nickel and tin are off either side of 0.5%. Spot copper prices in Changjiang are up 1% at 46,800-47,000 yuan per tonne, the spread is either side of level and the LME/Shanghai copper arb ratio is at 8.10. Most of the base metals pulled back to consolidate last week, some more than others with tin and nickel falling the most, while aluminium bucked the trend with prices setting fresh highs. This morning, however, prices are rebounding or pushing higher in the case of aluminium, lead and zinc. The underlying tone seems to remain bullish, but we would expect markets to be choppy this week as they react to policy announcements from the new US administration and ahead of the Chinese Lunar New Year that starts on Friday January 27, but with businesses activity likely to slow ahead of that.